Koala Conservation Day, Wild Koala Day, Koala charity, Tree Planting koalas,conservation, promotion for charity. Do not underestimate this. You will benefit from an event on your website long after the event has finished. If you can’t edit your own website, get a new web designer who will teach you or use one of the free ones. A website doesn’t have to look gorgeous to do a good job – a website that is regularly updated is more likely to be found on search engines. Finally, all the other sites mentioned below will eventually expire your event – and anyone clicking on it won’t be able to find you. Your website is the only thing that will last, for as long as you do. Eventbrite: fantastic site for setting up the event – it takes all the hard work out of ticketing an event. Easy to use, essentially free. Comes up high on search engines. Free options include confirmation and reminder emails. Best thing about this site is that other sites (heyevent, Evensi, Eventbu, 2Event.com) repost any event that appears on here without you having to do anything. Weekend Notes: one of the best ways to get bookings. Free listing for free or charity events under $50. Submit your event in their suggestion box, and a writer will usually write it up – takes about a week so get in early. Huge following. Gumtree: post a listing/ad for free. Comes up high on search engines. Haven’t had bookings from it, but have had good numbers of views. CharityDOs: free listing for charity and not for profit events. Eco Shout: are a nice group. They will post your events for free, but if you are doing a lot of them it would be nice to become a supporter for $40. The Land Down Under: are also a supportive group. They have a directory Wild Wonders that lists all sorts of good organisations. Get in touch with Ros, she’s super helpful and will share your event or organisation. National Parks sites: if your event is happening in a National Parks property you may be able to list it on their site. Parks Victoria have one. Check out requirements first – events over 100 people need a permit. Comes up high on search engines, and links from government websites give your website huge credibility. Local government What’s On sites: Melbourne and Geelong have free listings for events in their area. Even if you don’t get a lot from it, having government links to your website helps your search ranking. Newspapers, radio, TV and magazines are really worthwhile sources of free publicity. The reach they have can be much larger than all the other sites here put together. Also, if they mention your website, it improves your search ranking enormously. Don’t be frightened of them – they want real stories from local people. Start off with your local newspaper and community radio. Find the journalist/presenter that sounds like they might be interested and send them an email with a bit about your event. Read the article about us published worldwide and in Australia in The Australian, Brisbane Courier Mail, Perth Now and News.com.au. Social media is easy and fun (for most people). It can be very useful, but its not everything. Its free to make an event on facebook and I highly recommend doing it. Link it to your website. Also please create a hashtag for it #koalaconservationday so that people can find it easily. Facebook ads cost money, but they can be worth it. Weekends seem to work best for us. You can post and ad for two days over a weekend with a lifetime budget of $30 and get great results. Posting/sharing your event onto facebook groups is free. Search for groups in your state with similar interests. Join them, and then post. Its easy. Even the groups you’re most nervous about promoting you will probably be very positive. To find groups, type your location in to search bar, eg “Melbourne” click search. Click Groups tab. A list of the groups you’re in will come first, followed by other groups ranked by size of membership or recent postings. Try other search terms too. Not everyone loves twitter, but the media do, and they are worth it. Write short posts about all aspects of your event, include a link to your website (not the facebook event) and a picture. You can DM (direct message) people on twitter about your event. You can also include the @…. of someone or an organisation that is involved or would be interested in your event. Don’t overdo it. 4 tweets a day is enough. Is very popular, but you can’t include live links which is annoying. Some people love it though, so its worth popping on a few great pics with an explanation about your event. Instagram uses hashtags that people search on, eg #Koala #wildlifephotography #cuteanimals. 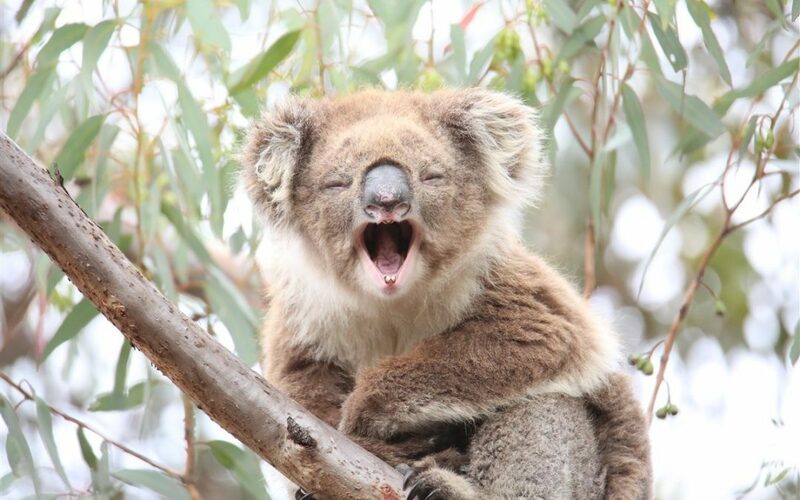 Its worth putting a few of these on – just typing #koala and you’ll see a range of # people use. There are many – Reddit, Google Plus, Pinterest – play around with them. If you find any other great sources of free publicity please let me know and I’ll share them here too.